The Next Cam's DTH code will be sent free of charge to you upon request when you've contributed to one of My Next packages at my store. If you want to contribute, here is the paypal link below. 5.8 Issue #8: I want to upgrade the code but I don't know how. 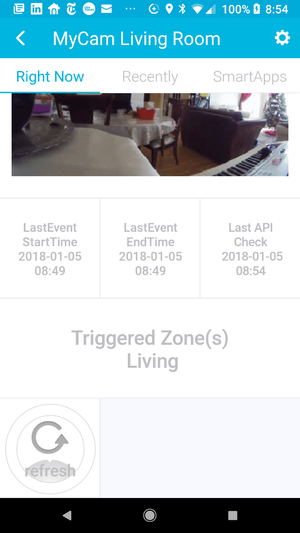 Nest Cam operational & connected to Nest Backend via the internet. 'Like any ST connected device, you need first to unselect all your Next devices from all the smartapps & routines as MyNextServiceMgr will not uninstall w/o doing this step. Most of the time (unless specified otherwise), you just need to copy and paste the MyNextCam Device's code from the the related txt files, and save & publish. 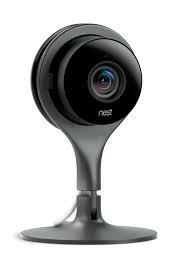 In order to be able to view the live stream from the Nest Cam, you'd need to publicly share your Nest Cam's videos. That's the only way to enable live stream at the moment (sadly, no password protected solution). By publicly sharing the video stream, the code can get the live stream from the old dropcam's (before the Nest acquisition) APIs. This technique has been used by another Nest implementation before me. The Nest web page with your live video stream is not indexed, so it won’t show up in a search engine like Google. But if you embed the video in another web page, a search engine may be able to find that page. You may want to carefully choose which areas of your house can be publicly shared. N.B. : Ecomatiqhomes is no way responsible for any security or privacy violations this feature may create for you and/or your family!! 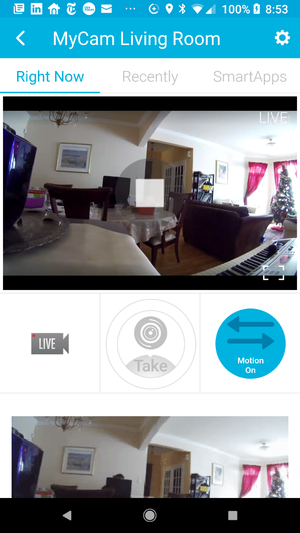 And, for the moment, no custom Cams are working under the new Samsung mobile app! !